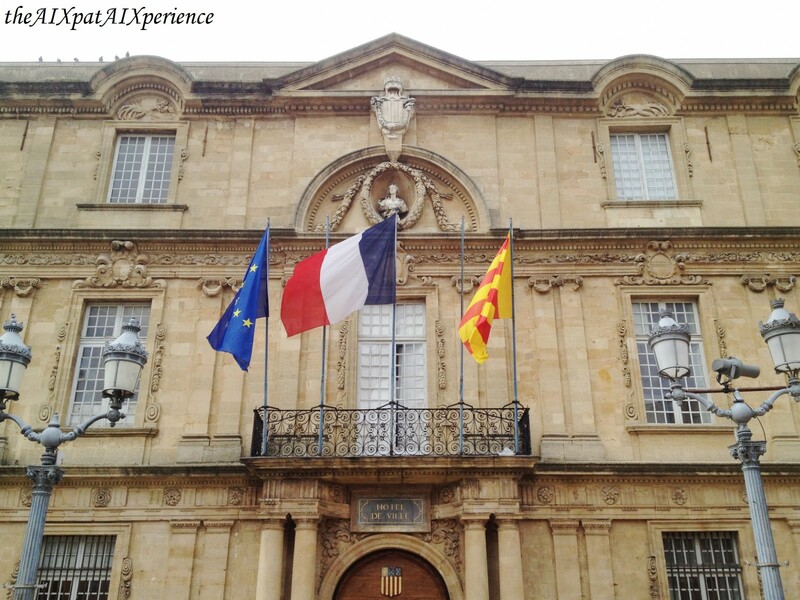 The experience of being an AIXpat is exactly like the process of learning a foreign language: it’s fun, exhilarating, and, at times, frustrating. But, with the country’s culture at your fingertips, you have the freedom to fire up the cuisinière, or stove, and sauté your way through those frustrations. In fact, there’s no better way to find cultural acceptance than through the culture’s cuisine. So, why not try and mélange language acquisition with cooking? Unfortunately, every language learner does not have the chance to experience the culture first-hand; however, every language learner can participate in cultural experiences through cuisine. Recipes hold insight into the culture, so, in this fashion, everyone can participate in cuisine culture whether or not there’s a fromagerie nearby. All you need is the recette, or recipe, and access to les ingrédients, or access to similar ingredients. According to Mamie*, it’s not always the exact ingredients that matter; “it’s the effort put forth into creating the dish and the outcome of the product that count the most.” This idea of ingrédient substitution is one of the cool things about most Provençal recettes – in fact, it dates back to the Provençal peasants who would create dishes using what was available at certain moments. So, roll up your shirt sleeves, break out the cutting board and knife, and get chopping! *Mamie is the grandma (and native Aixoise) of mon cheri. 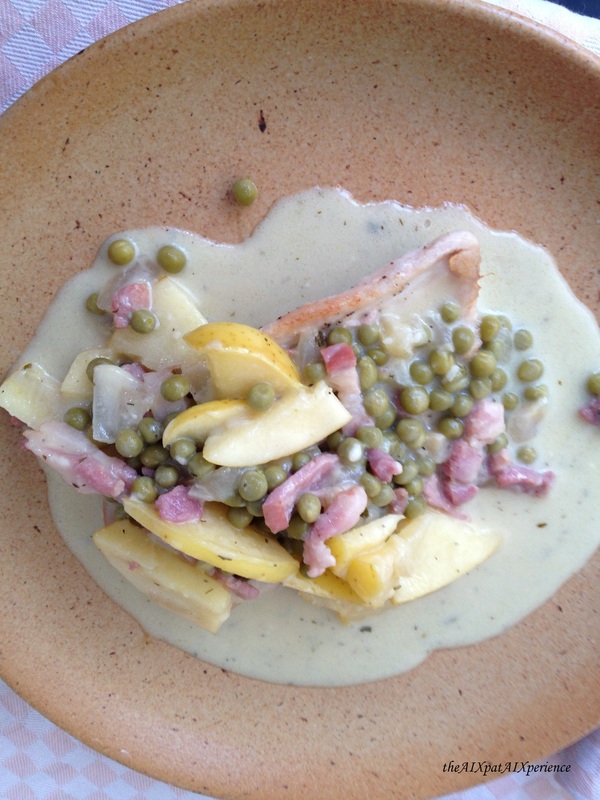 On Friday’s, this blog will serve as a link between French cuisine and French language. I’ve found that learning the language is a lot more fun when food is involved, so, I’m sharing this bit of fun with you. S’il vous plaît, feel free to post comments of your own opinions and advice from creating the same recipe. *In general, I cook for 2 – unless otherwise noted. Aujourd’hui, I tried a “new” recette. That is to say, I tried a recette that I’ve never attempted before. It’s called, Poitrine de dinde rôtie aux pommes, aka roasted turkey breast in an apple-béchamel sauce. The recette took about 1.5 hours to complete. *Pre-heat the oven to 375F (190C). First, put 1 teaspoon of sel, 1 teaspoon of poivre, 1 teaspoon of persil, and 1 teaspoon of aneth into a small bowl. Then, season the turkey breasts by putting them into the same bowl and mix. Make sure the seasonings cover both turkey breasts. Second, pour ½ cup of huile d’olive into a pan on the stove (add more huile d’olive if necessary). Turn on the stove to about medium heat. Then, chop or mince 2 cloves of l’ail. Put the 2 cloves of l’ail into the pan. Then, put the seasoned turkey into the pan. Brown both sides of the turkey. Third, once the turkey breasts are browned, remove them from the pan with a pair of tongs or a spatula. Place the turkey breast into an oven safe pot or casserole dish. Then, place the dish into the oven for about 25 minutes. While the turkey breasts are in the oven, make the sauce. First, mince or chop the oignon. Then, sauté the oignon in the pan with the huile d’olive and l’ail. Second, when the oignon is starting to look translucent, then add the lardons (or bacon). Third, cut the entire pomme into slices (toss the core with the seeds in the trash or feed it to the pigeons). When the lardons are tender, then add the slices of pomme into the pan. Fourth, when the pomme starts to become soft, then add the lait and the bouillon cube. Stir until the bouillon is mixed into the milk. Fifth, mix in the farine – a little bit at a time. Make sure that there aren’t any bumps of farine. Sixth, once the farine has mixed into the lait and bouillon, then add the petit pois. Mix the petit pois with the ingrédients in the pan. Lastly, as the petit pois become tender, add the lemon juice, 1 teaspoon of sel, 1 teaspoon of poivre, 1 teaspoon of persil, and 1 teaspoon of aneth into the pan. Then mix for 30 seconds. When the turkey breasts are finished cooking in the oven, use tongs or a spatula to put them onto separate plates. Pour the sauce onto each turkey breast and serve warm with a morsel of baguette. What did you like about this recipe? Did you try it with porc instead of turkey breasts?